Alternative treatment for cancer has proven to be effective but is there one that’s better than the rest? 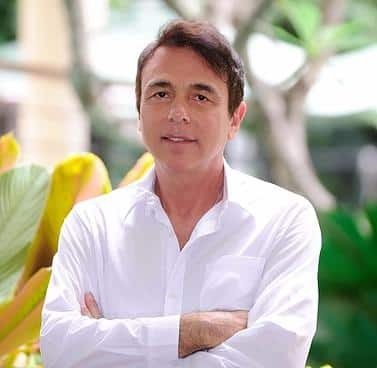 Dr. Thomas Lodi recently published this article on his website and we wanted to share it with our audience as it reinforces what we do at An Oasis of Healing. 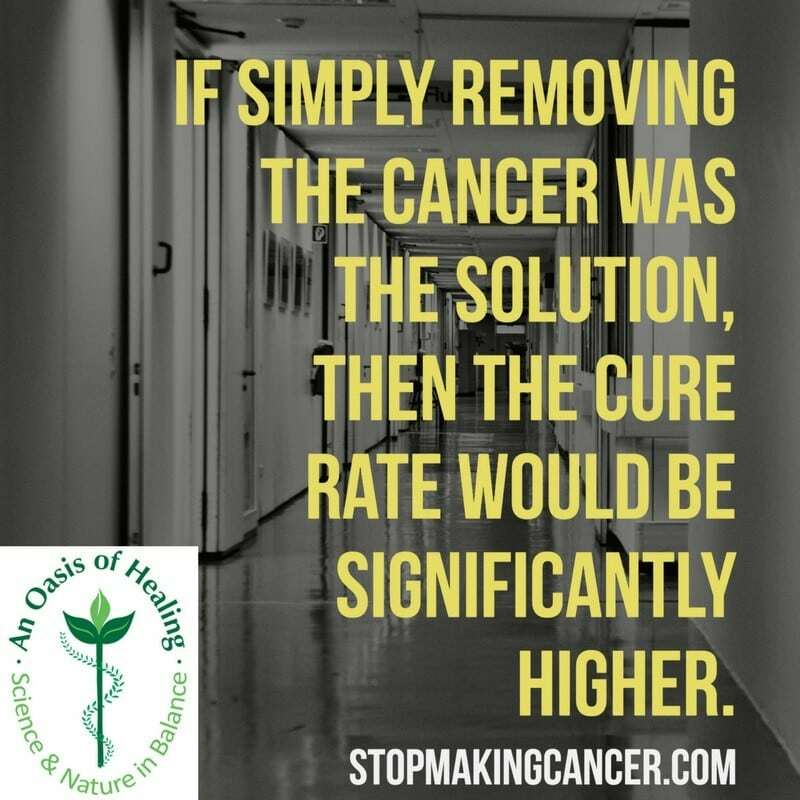 We use a completely integrated approach in helping people heal from cancer and our alternative treatment for cancer is unmatched in terms of what we offer the people who visit us. Among the alternative treatment for cancer options is there a stand alone therapy that is better than the others in treating cancer? The quick answer is no, it does not exist and that concept goes against the biological laws of nature. Nature is a complete synergistic happening 24/7 365 days a year, year after year. The longer version of the answer is this; there are several very good alternative treatments for cancer that work well together and people can utilize these as they are readily available. There is not one therapy nor one treatment that has the ability to eradicate cancer by itself. That’s just not how it works. The fact that people ask is there one best alternative treatment for cancer highlights one of the fundamental problems with the scientific method. The real religion people have is called science. Why is that? Because people are going to believe their doctor more than their Rabbi or Minister as we all believe the “doctor”. After all, they have science on there side and science trumps everything, right? Wrong! This is absolutely false. In all the experiments conducted in science, they always try to control one variable amongst all of them. They want to see what effect that one variable has on all the others by controlling it. The scientists want to say, well, we controlled everything and it was just the cigarettes. This can’t be done as it’s impossible to do. You can’t find one variable that is in isolation in anything. This is the same concept we have with nutrition, i.e., someone saying, hey, I need more lycopene. Well, I hate to break this to you but there are no lycopene pills growing on trees. There is nothing in nature that happens in isolation. To illustrate this point further, let’s list all the nutrients contained inside an apple; vitamin a, magnesium, vitamin c, potassium, fiber, etc. People then try to break it down and say what quantity of each nutrient relative to the others do I need? People are trying to understand the apple, however, animals which are still connected to nature just eat the apple get the benefits and go on. And here we humans are trying to figure out what part of the apple is the best? What is it in the apple that we really need? We don’t need the whole apple, we just need this one thing! What’s the essence of apple, this is what society is always looking for and it’s our insanity. There is no essence of anything, there is no one thing. To answer the question on one cancer treatment that’s better than the rest, we first need to clarify that cancer is not a “one thing that happened”. Cancer happens as a consequence of a fundamental flaw in cellular respiration. And, to clarify, there are many things that contribute to a flaw in cellular respiration. Toxins in food, air and water, emotional issues, toxic relationships, radiation, etc. Controlling and modifying all of these things that contribute to creating cancer is necessary and remember there is no one thing you can do with cancer. People believing this and being taught this contributes to the problem. People think for example they can just have surgery and be done with cancer, not true. Your oncologist will then tell you well, we got the tumor with surgery but we need to now do radiation and chemotherapy. And this conventional process just continues to the demise of the person with cancer. What the oncologist failed to tell you was the surgery, radiation and chemotherapy contributed to the spread of cancer. When we work with cancer here at An Oasis of Healing, it is multi-faceted in it’s approach to treatments. Your biochemistry needs to be changed in your body so that it is no longer attractive to cancer. In other words, your body chemistry no longer allows cancer to survive in your body. We do this through nutrition and diet, colon hydrotherapy, lymphatic system drainage, going to bed early, balancing your hormones, teaching you to meditate, exercise programs and working with you on your relationships to name just a few. All of this contributes to your body no longer producing cancer and that’s just one part of it. The second part is targeting the cancer / tumor without harming you. This is where we use our Metabolic medicine and therapies such as vitamin c, ozone and B17 to name a few. And the third thing we do here is wake up the immune system. Cancer is very clever and hypnotizes the immune system and says you don’t see me, you can’t see me and the immune system can’t see it. The immune system is susceptible and cancer cells are very good at putting the immune system to sleep. The third part of our comprehensive cancer care program focuses on waking up the immune system so the cancer can’t hide. So which treatment is really good or which one is the best? They are all really good but not one of them is sufficient enough to eradicate cancer on it’s own. This is where our cancer care program excels. No other center offers what we do for someone with cancer.